* Looking for the perfect finishing touch for your hairdo? 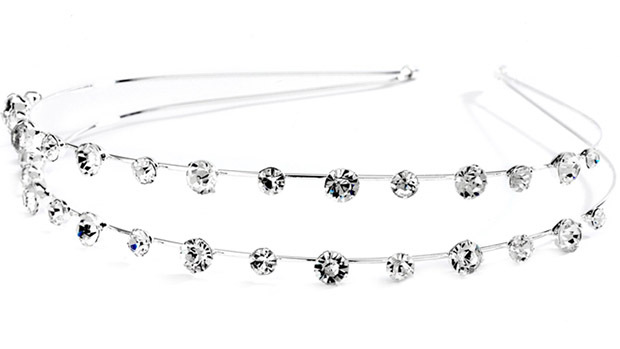 At 1" wide, Mariell's elegant crystal headband will add just the right amount of sparkle and glitz. * Featuring two rows of round crystals on slim silver wire, this headband is perfect for any prom, pageant, or graduation.